Cocaine is addictive and has serious effects on the heart. Heart attacks have become one of the leading death causes in the world. Are you an avid user of cocaine? Do you know someone who uses cocaine? If you fall in either of these categories, then this read will equip you with enough knowledge to fight cardiac problems brought about by cocaine. Cocaine is injected, smoked or inhaled nasally. When a person develops a dependency on it, they become more susceptible to using other hard drugs, consuming alcohol, and smoking. Cocaine stimulates the body, giving it a physical jolt. This affects the blood vessels directly by making them reduce in size. This reduction in size caused by squeezing of the blood vessels raises the heart pumping rate and blood pressure. When this happens, the walls of the vessels become weak and could possibly lead to the damage of the heart muscle due to overworking. With this in mind, take note that every time a person indulges in cocaine they experience short episodes of high blood pressure. This increases the risk of developing an aneurysm. An aneurysm develops in the vessel as a pocket that resembles a balloon. A blood vessel that has this is susceptible to rupture leading to internal bleeding and death. Take note that an aneurysm contributes to the risk of getting a heart attack. A pregnant woman who has previously indulged in cocaine is at high risk of developing high blood pressure that may threaten their life. This could be detrimental to both the child and the mother. This is why high blood pressure is one of the main things that are consistently checked throughout the pregnancy because it has serious repercussions. What Is A Cocaine-Induced Heart Attack? When a person gets a cocaine-induced heart attack, the heart stops beating. When this happens, the medical practitioner only has eight minutes to get it up and running again or else the person’s brain starts dying due to lack of oxygen. Thus, if you are living a cocaine-indulging lifestyle, think about your chances of not getting a cocaine-induced heart attack. You need to be around or in the care of people who know CPR constantly. Start asking yourself, does your cocaine dealer or friends know CPR? What are the chances that you will survive if they do not? If they do know CPR, what are the chances that they will always be there when you indulge? Consider these scenarios before you indulge. This does not apply to avid users only, even social users are at high risk of developing high blood pressure and leading to a heart attack. In fact, research shows that a sizeable percentage of people in rehabilitation centers for cocaine were not avid users. Most of them used the drug for at most, twice on a weekly basis. Most of these researches also shed light on the fact that most of these users are at risk of developing a greater left ventricular mass, systolic blood pressure and aortic stiffness. These are sure risk factors present at the onset of a possible heart attack. Cardiomyopathy and Myocarditis- Myocarditis is an inflamed heart muscle condition. This inflammation has the potential of leading to a damaged heart muscle also known as cardiomyopathy. This leads to heart failure. Aortic dissection- Just as the name suggests, this is the development of a tear on the wall of the aorta. It is very painful and can lead to death. 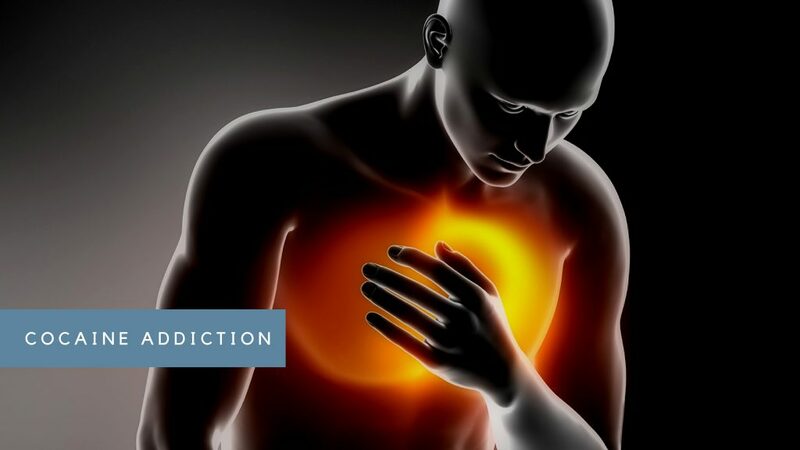 Heart attack (Myocardial infarction) – It is clear from a couple of researches that cocaine use does not have to be consistent and continuous for it to lead to a heart attack. People who are social and first-time users are still at high risk of getting a heart attack. Most of these attacks take place within an hour of its use. It is not easy to make a correct diagnosis. This is because of the lying nature of drug users. They are unlikely to be forthcoming when it comes to providing information prior to treatment. The outcome of immediate treatment is likely to be negative because of the factors surrounding the person such as the likelihood of relapsing and deteriorating health, among others. Medical practitioners do not want to use stents when treating coronary artery disease for such patients. This is because the risk of stent clotting off is higher. This is known as Stent Thrombosis. Clot-busting drugs cannot be used when treating acute heart attacks among cocaine users. The cot-busting drugs help produce fibrinolysis. This is because a cardiac catherization should first be done before the treatment, unlike other normal acute heart attack patient therapies. This helps establish if the person has actually had an acute heart attack. Take note that the ECG changes that show an acute attack are visible in the system of a cocaine user who is not experiencing an acute heart attack. Thus, the catherization helps establish this to prevent treating a person for a non-existent illness. Therefore, next time when your loved ones offer to take you to a rehabilitation center, you should agree. 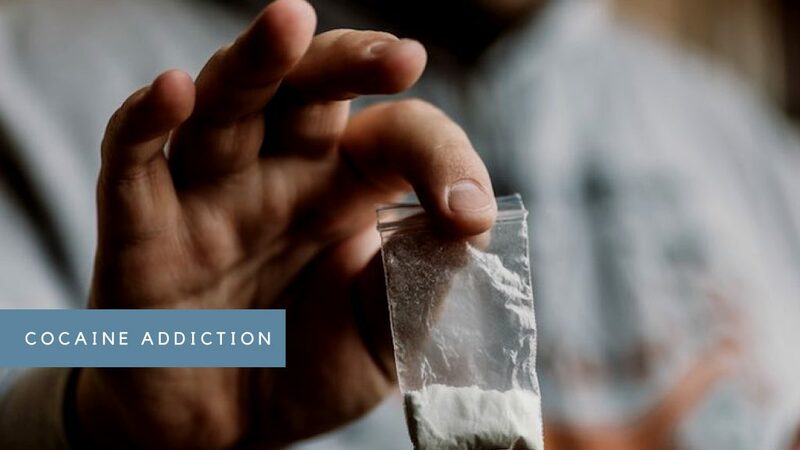 Most people are afraid of rehabilitation centers because of the severe withdrawal symptoms and they are not sure that they will be able to resist cocaine after the rehabilitation process. They do not trust that they will be able to cope without cocaine since it is their escape drug. In addition to this, most of them are not ready to accept any life change. They are already comfortable in their lifestyle. The reasons seem reasonable but the risk makes rehabilitation even more reasonable. Constant use of cocaine makes the use become a ticking time bomb. Any second and at any time, the bomb might go off. To make it worse, most of the users especially the social users are in denial that they may be addicted to the drug. This makes it harder to convince the person that they need rehabilitation therapy. Below is a list of approaches you could employ to make your loved one realize that he or she is suffering from cocaine addiction. The person should first commit willingly to getting the treatment he or she needs. 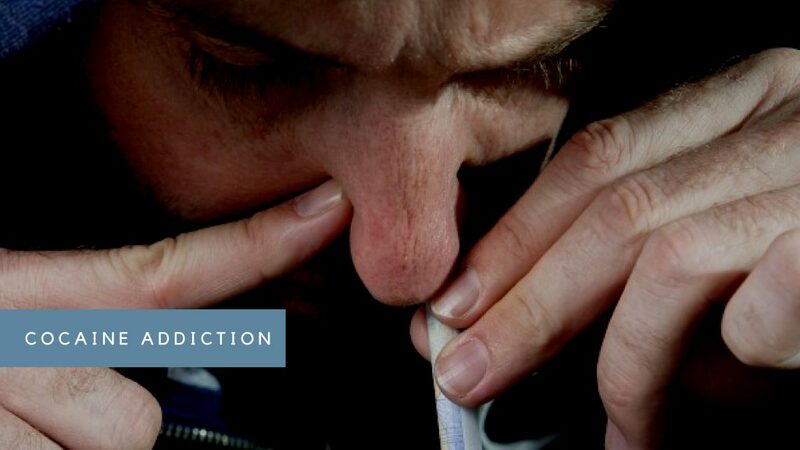 If you are dependent on cocaine, you can choose to look for assistance to help you stop but you cannot choose to stop using the drug without supervised therapy to deal with the withdrawal symptoms. It involves an individualized plan to treat the issue based on a professional evaluation. It is essential to create a plan for treatment customized to an individual’s requirements to offer the best opportunity for long-lasting recovery. The treatment program begins with a professional evaluation involving a physical health exam, a medical history review, and a mental health assessment. The staff and the client will create a treatment plan to meet the individual’s needs. This plan should be able to treat any underlying problems like trauma or depression while addressing any underlying physical issues as well. Psychosocial – This could involve some counseling to help the person understand their situation in a bid to alter the attitude they have towards drug use. Psychological – This could involve some counseling to help the person understand their situation in a bid to alter the attitude they have towards drinking. Cognitive Behavioral Therapy (CBT) – This helps in altering the negative thought process of the addict that keeps leading them back to the use of cocaine. Take note that detoxifying is not as easy as it sounds especially to people who are already addicted to drugs. You will need to wean yourself out of the normal drug abuse routine. This is because suddenly changing your normal routine will negatively affect your system and you might end up more addicted than you were before. Relapsing is a great risk at this stage. Start out by reducing your drug intake until it reaches a point that your body system does not react negatively if the drug is not introduced into the body. The next step involves treating the physical, emotional, and mental wellbeing as they all affect each other to contribute to overall wellbeing. An intensive treatment program seeks the healing of one’s whole being and not just physical ailments. If the source of the drug abuse is dealt with and the individual is taught new ways to establish a stable life and avoid cocaine, there will be less risk of relapsing. Emotional healing is the next step in the treatment program. It involves therapy sessions in groups and individually overseen by professional counselors to help to recover individuals deal with the psychological and emotional triggers that led to the use of cocaine such as dealing with peer pressure. These therapy sessions can help them heal from any events caused by their cocaine addiction. It is a trauma-informed method included in substance abuse therapy and it is beneficial in helping the recovering individuals determine why they turned to cocaine in the beginning. An effective rehabilitation program involves some degree of interaction between the people undergoing the recovery process together. This interaction can be in the form of 12-step meetings, group therapy, social activities, and discussion groups. Spirituality and becoming grounded follows at this stage. Addiction usually develops due to loss of control, insecurity, and feelings of helplessness. This is why it is important to get in touch with something that gives you a sense of purpose or something reliable and solid. This will set the foundation for a healthy life without any addictions. Some can find this through spiritual or religious practices while other people learn to mentally channel and rely on their inner strength when faced with any circumstance. Clients usually check into rehabilitation with knowledge gaps on how to deal with whatever led to their addiction. Treatment programs offer educational sessions during which there are discussions and questions. These sessions help to provide them with the skills and knowledge they require to establish the type of life they want to live after completing the program. Addiction of any kind can put a strain on one’s relationships with friends, colleagues, and family. An effective rehabilitation program helps to offer clients support so they can mend their relationships by offering therapy, support, and educational sessions for the family members as well. Drugs can cause legal ramifications in most cases due to the problems associated with drug use. Some rehabilitation centers help the clients remain focused on treatment by facilitating correspondence with legal representatives to help with legal problems. It is common to hear of people relapsing even after going through drug treatment programs and recovering fully. An effective treatment program will set up an aftercare support program to promote long-term recovery from cocaine abuse. These aftercare support programs include assistance with getting employment, access to alumni and mentorship activities, specialist referrals, support group referrals, and ongoing counseling. Drug aftercare treatment is a proactive way to help the person resume a life of sobriety while offering a relapse prevention plan. The next step involves physical healing and it emphasizes healthy physical activity such as yoga, sports, hiking, or walking as well as balanced nutrition. This phase is essential in helping the recovering cocaine user regain physical strength and start developing healthy long-term habits. Cocaine is essentially a poison and it can throw off your body’s nutritional and physical balance. The restoration of this balance via nutritional therapy in combination with developing a healthy exercise routine can reduce the symptoms experienced during early drug recovery. You can try a number of recipes to help when it comes to improving heart health such as the Beef Satay. This Southeast Asian beefy dish is famous for being an appetizer. It involves skewering meat or chicken is preferred. Most of the time a tangy sauce dip on the side helps add to the flavor. It is preferred as an after workout dish because it is satiating. The raw onion slices are rich in antioxidants such as quercetin that helps cardiovascular diseases such as stroke, heart disease, and even certain types of cancers such as colorectal, stomach, and prostate. This read will aid you in knowing exactly how to prepare the beef satay and the process of making the sauce. What Are The Basic Ingredients For The Dish? The ingredients are limejuice, soy sauce, minced garlic, fresh ginger, sugar, turmeric, coriander, cumin, lemongrass, and beefsteak. Preparation takes an average of about an hour and a half. The dish is ready to eat after preparation of about three and a half hours. The first step is marinating the steak. Marinating needs a combination of garlic, ginger, soy sauce, pepper, fish sauce, brown sugar, limejuice, lemongrass, cumin, and turmeric. Begin by cutting the steak into thin strips. The strips could be around one to two and a half inches wide. Mix the marinating ingredients in the following portions: two lime juice tablespoons; a tablespoon of well-chopped lemongrass, sodium soy sauce, fish sauce; a teaspoon of minced ginger, brown sugar, ground turmeric; two teaspoons of minced garlic; and a half a teaspoonful of ground coriander, cumin, in addition, pepper. Place the strips of meat in a plastic bag or a container that is sealable. Add the marinade into the sealable packaging. Seal it. Turn it to make sure that the marinade covers and coats all the parts of the meat strips. Put this in the refrigerator and let it sit for about two to twelve hours. The longer the time the more the sauce soaks into the meat. Therefore, the time difference is dependent on the requisite flavor levels of the cook. A tablespoonful of Ketchup, lime juice, and fish sauce; a teaspoonful of brown sugar, hot sauce, ginger, and lemongrass; two teaspoonful’s of garlic and peanut oil, a half a cup of coconut milk, and finely chopped onion; and a quarter a cup of peanut butter. Mix the oil and onion in a frying pan. Cover and let it cook, under a medium or low heat. Stir occasionally until onions are soft. This will take a minimum of about five minutes. After this, put in the ginger, garlic, and lemongrass. Continue frequent stirring and reduce the heat to prevent over browning of the mixture. This should take about two more minutes. Add the peanut butter, ketchup, fish sauce, coconut milk, limejuice, hot sauce, and brown sugar. Stir this mixture frequently. Preferably, stirring after adding each ingredient. Make sure that all the ingredients are blending in well. Add a little water to thin the mixture. This is not necessary. It totally depends on the requisite viscosity of the sauce. If you require the sauce to be thick then refrain from adding water. Frequently adjust the seasoning with limejuice, hot sauce and brown sugar. Cover and let this sauce sit in refrigerator conditions for up to about three days. Most people prefer, to begin with, this step due to the time difference between that of the marinated meat. Nevertheless, all this is at the discretion of the cook. Making the satay requires the use of a pre-heated grill. Make sure that you pre-heat at a medium heat temperature. This will give you enough time to get the marinated meat ready. Remove the meat slices from the marinade, and place them on a clean surface. The marinade has served its purpose at this point; therefore, make sure that it is discarded. With the aid of the skewers, begin to thread each strip of marinated meat onto them. One meat slice should take a single skewer. Place the skewers onto the grill. Frequently attend to them by turning them after around two to three minutes. This will ensure that all the meat gets enough exposure to the grill heat. Warm the dipping sauce if you want to. Serve the satays with the sauce.